You do that on your way to work. You do that while having your coffee break. You’re texting your friends and the one you’re in love with. How about using text messages to gain new customers and sell? The thing is that the progress is inexorable and times are changing so fast that before you can think – an innovation is alreadyinstalled in your life. Nowadays, a simple guest post or a text message can be used to improve your sales. Here are six simple tips on how one can improve his sales performance via text messaging. Contact the existing clients via text message in case they have your number. Getting in touch with the customers using text messaging is the absolutely right thing to do in case you are 100% sure they find this comfortable and appropriate, and they have your phone number in their devices. Using text messaging in order to reach a prospect is a taboo. Well, in 99% cases it is so. There are some exceptions, especially, when you have already tried a bunch of methods and none of them has worked out. You must be aware of the fact that the individual you are getting in contact with is the one, who prefers text messagingand he will positively accept your offer/suggestion via phone. Remember that the individual you’re contacting via phone messages will have not the slightest idea of who is texting. This means you must put your first and last name at the end of the message. Make certain your clients are OK with business texting. Never press the “send” button in case you are not sure whether the client is comfortable with using text messaging for business. Loads of people prefer using text messaging only to contact their friends and relatives, and they would not be pleased to receive your business offer via phone. Respond to any business text cautiously. It’s so easy to type the reply for the business text message you’ve got on your way to the café or while getting your nails done. But you must think about the consequences of such a quick answer. Make sure to take your time in order to think over what you are going to say. Never text someone who prefers communication with the personal touch. Setting up a record in texting your clients is not the right way to gain your reputation in the business segment. Your customer may want you to text him, however in the end, nothing compares to personal communication. It’s clear that you’re giving him your precious time and besides, hearing the voice of your companion is always more special. We hope that you find these tips useful as you try different ways to get in touch with your clients! 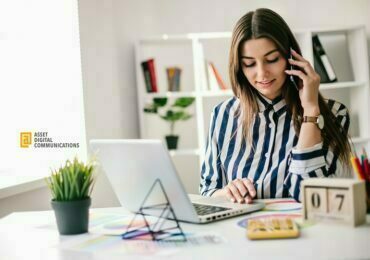 How Freelancing Experts Are Revolutionising Your Business Needs? Has the old version of Vidmate 2015 withstand to its demand?